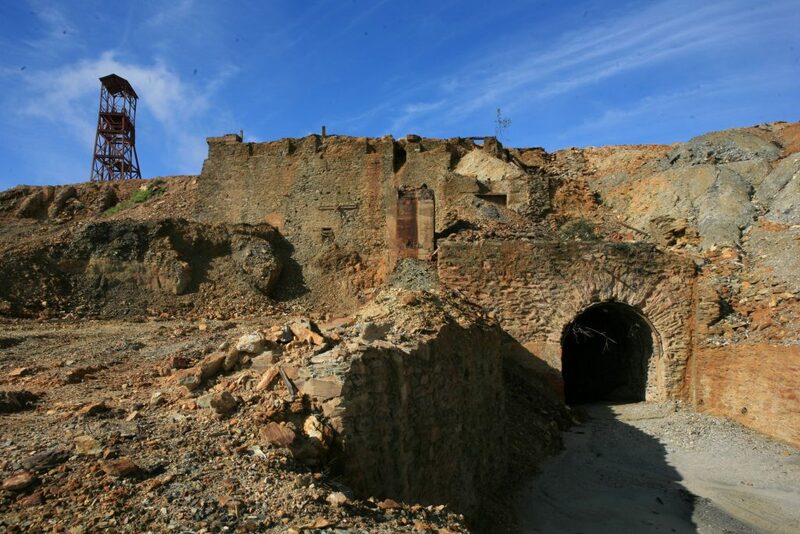 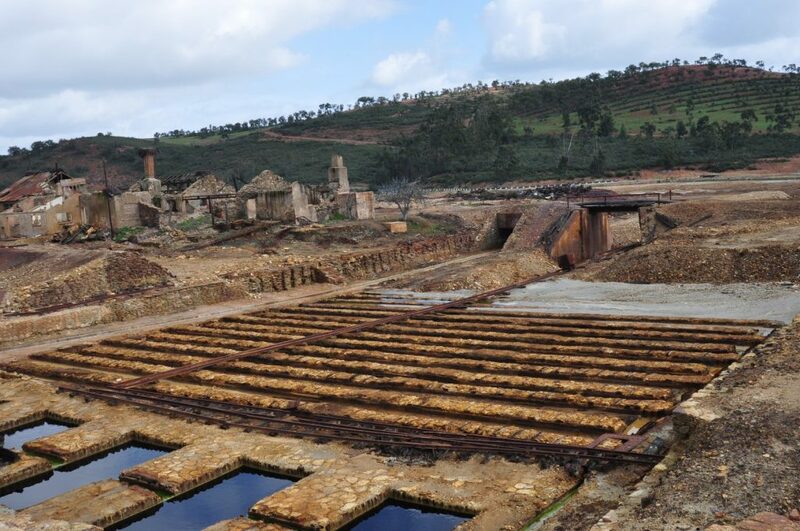 The Aljustrel mine, or more appropriately, the “Aljustrel Mining Complex” which forms part of the Algares, São João and Moinho mining areas, and the metallurgical area of Pedras Brancas, is located near the village of Aljustrel, around 40 km WSW to the district capital, Beja, in the heart of the Alentejo peneplain. 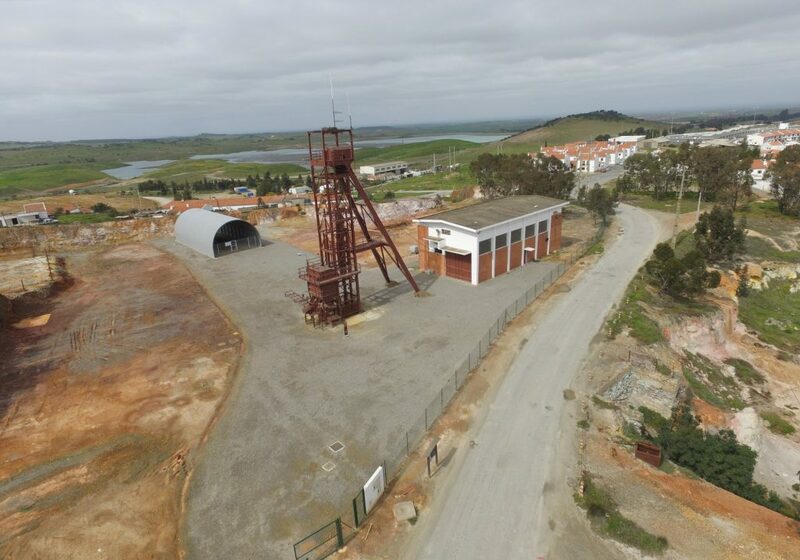 This Mining Complex is subdivided into 3 main areas: the Algares mining-metallurgical complex, the São João mining area and the Pedras Brancas metallurgical complex. 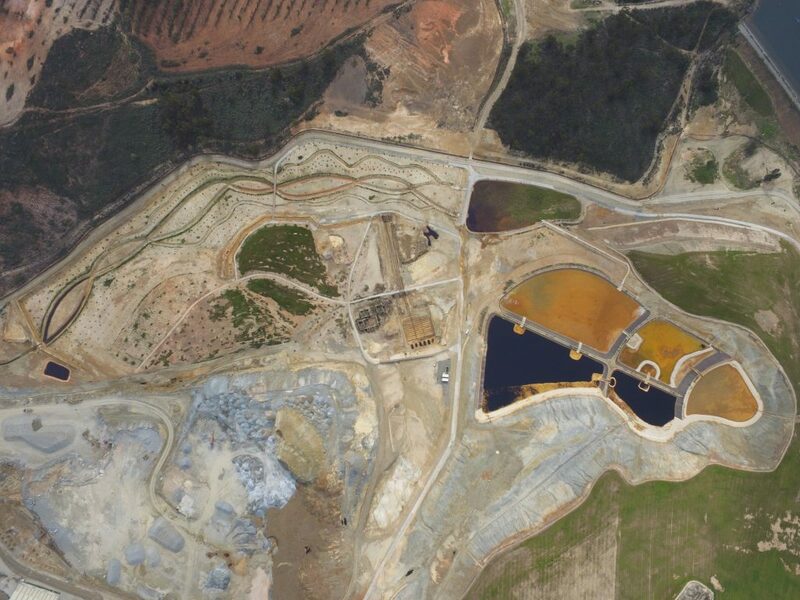 The Aljustrel mining complex is located on the western tip of the Iberian Pyrite Belt (IPB). 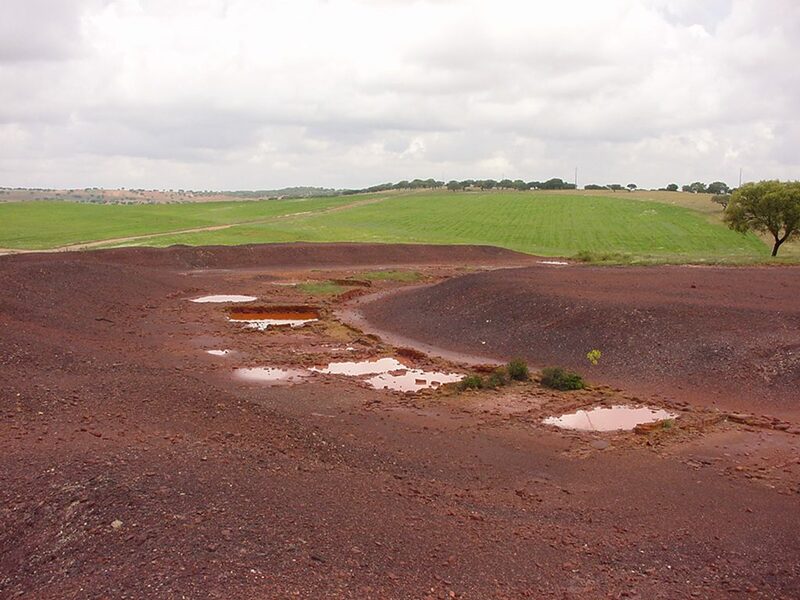 The Aljustrel deposits essentially contain pyrite, sphalerite and chalcopyrite. 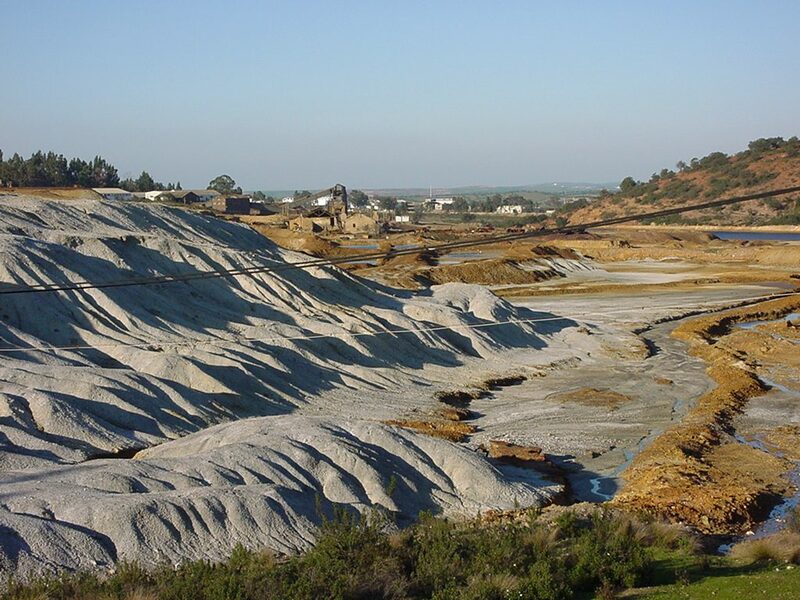 They are the largest deposits in the IPB, with original resources of over 200,000,000 tons, and a historical production reported in the last century to be around 16,000,000 tons. 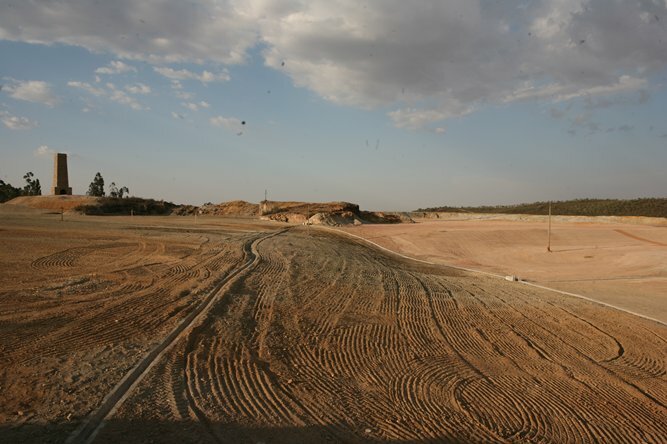 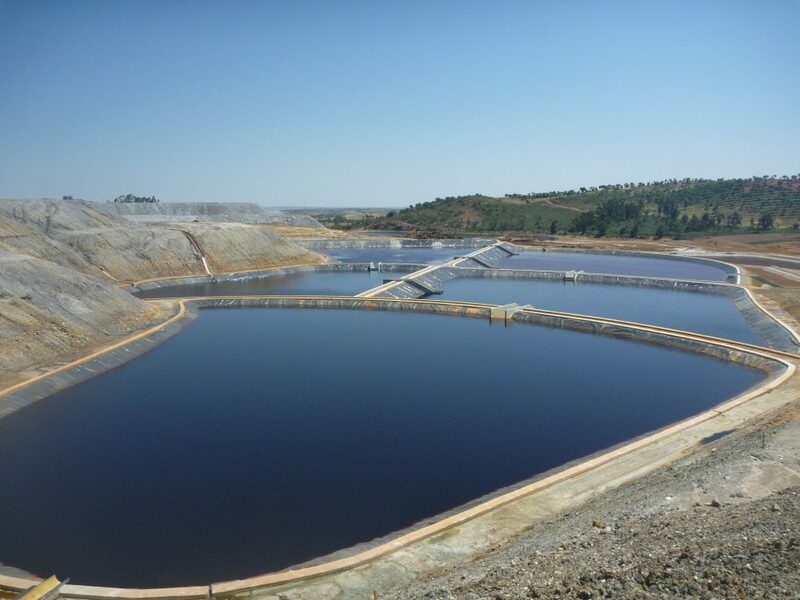 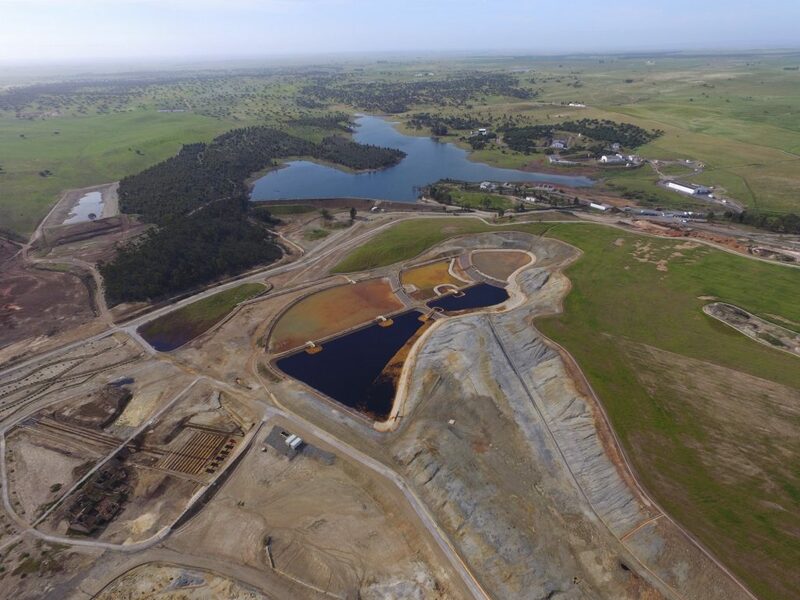 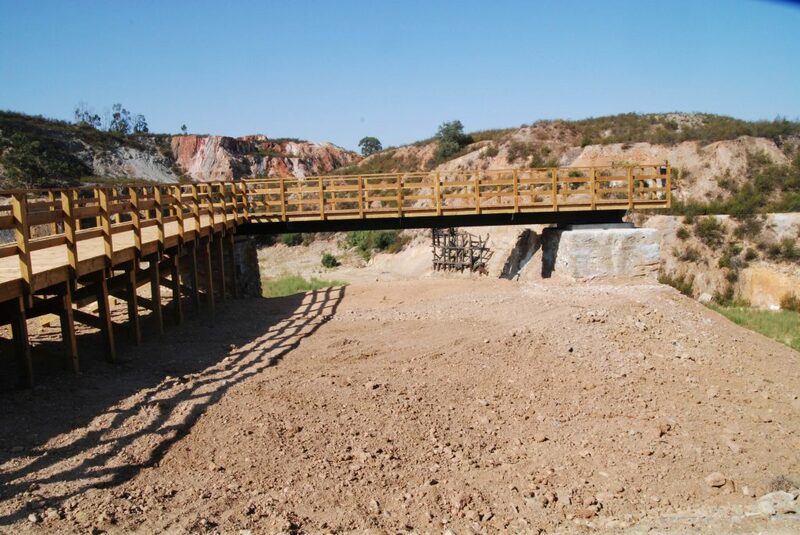 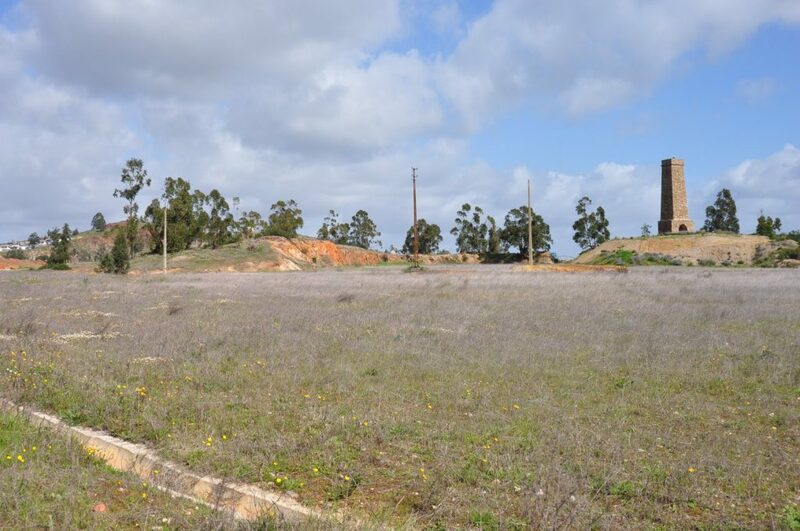 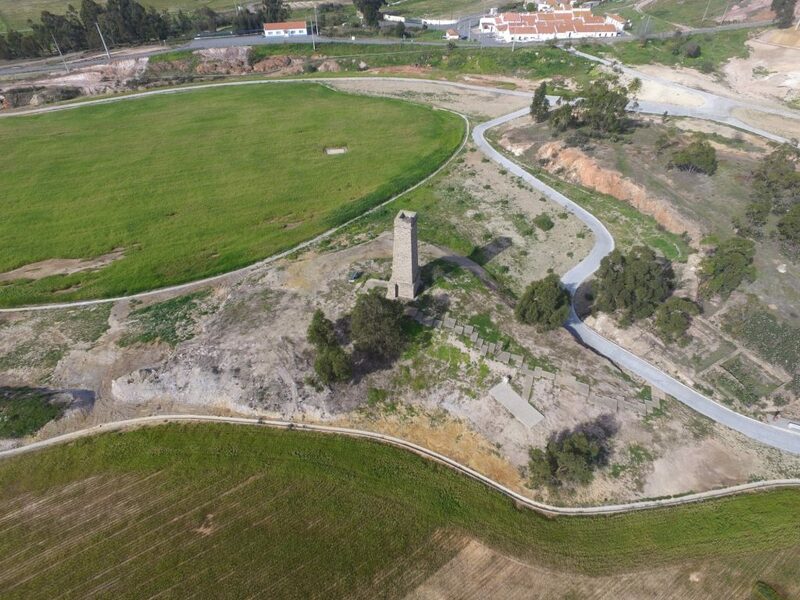 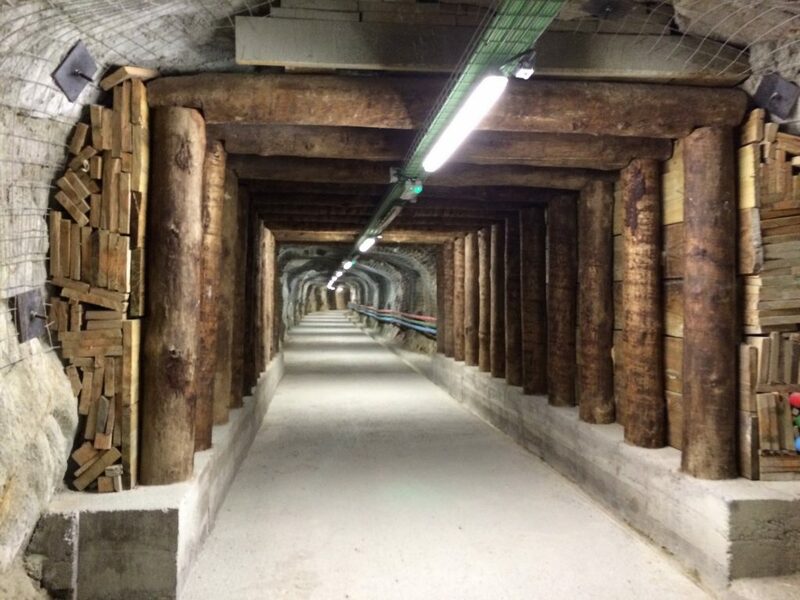 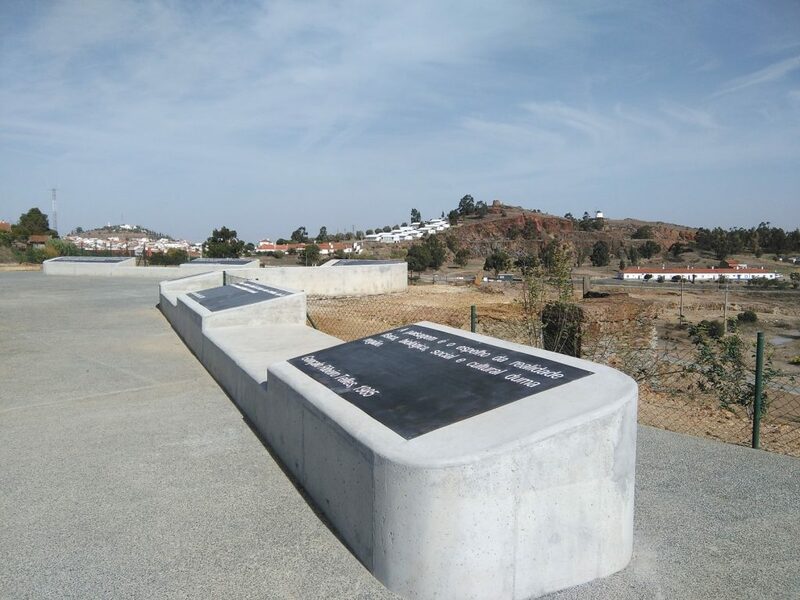 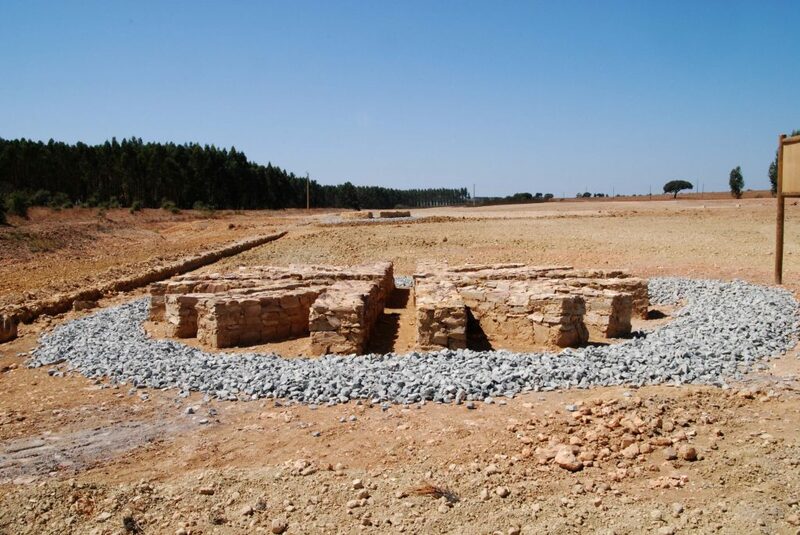 The hydrological and environmental rehabilitation of the abandoned mining areas of Alentejo was carried out in 4 phases and covered 3 areas of this mining complex. 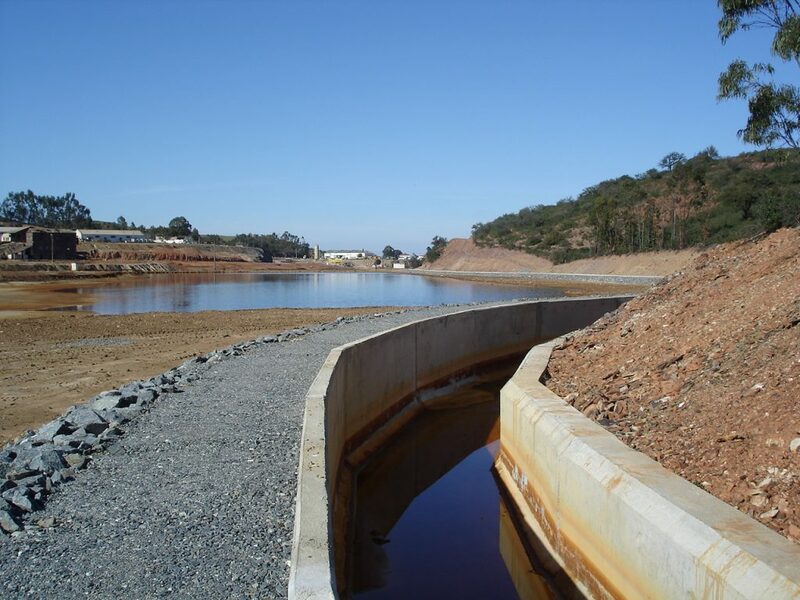 Construction of perimeter clean water drainage ditches to the north (L1) and east (L2). 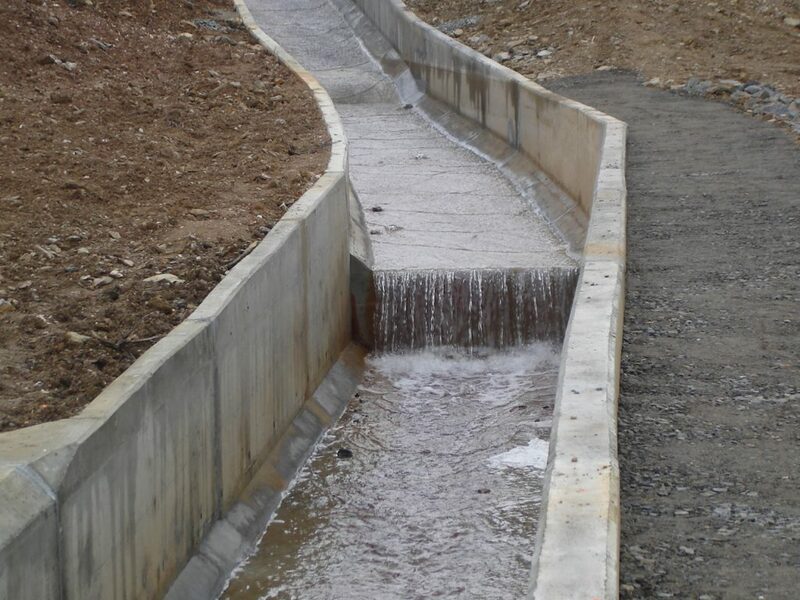 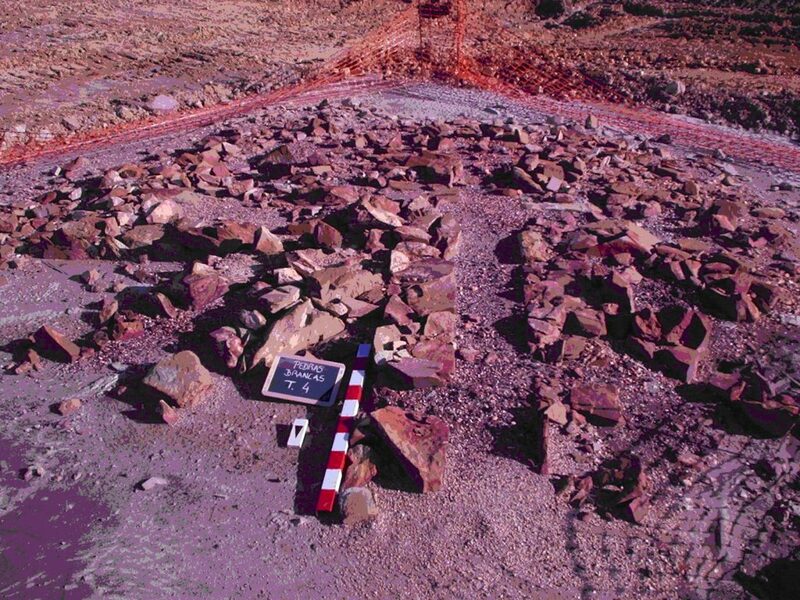 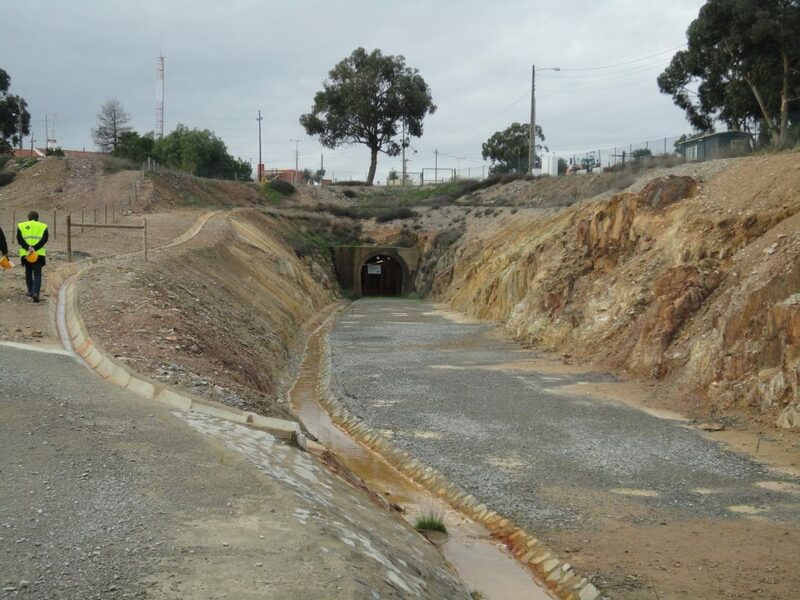 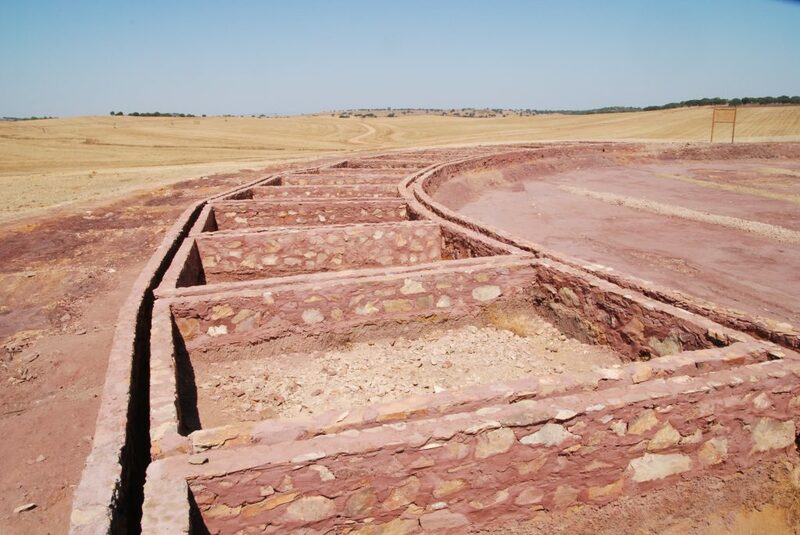 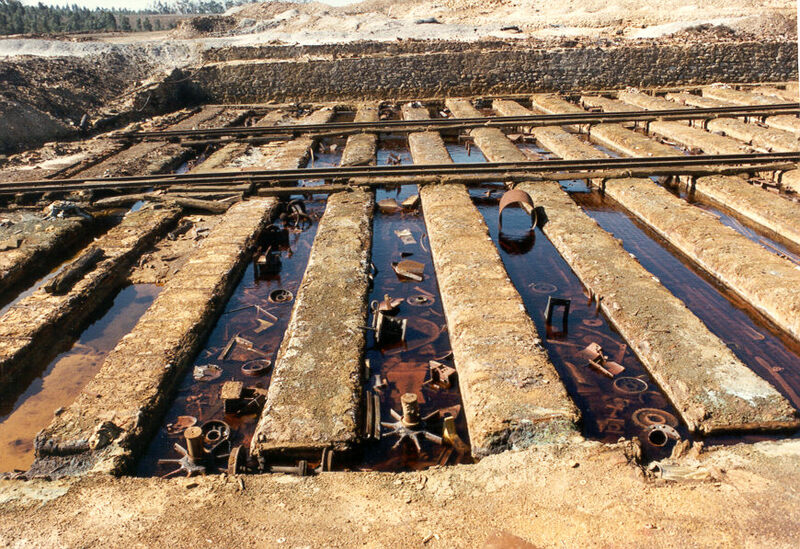 Recovery of mining infrastructure with heritage or archaeological value, such as the cementation cells, the levee located upstream, and Roman slag. 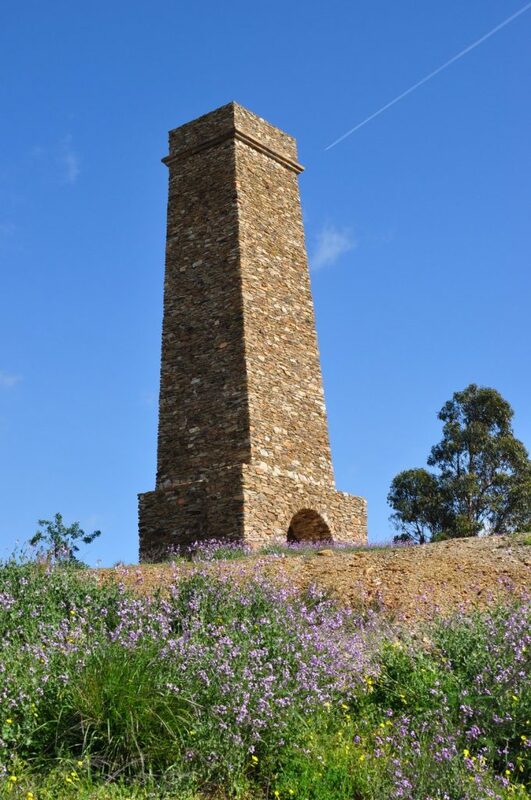 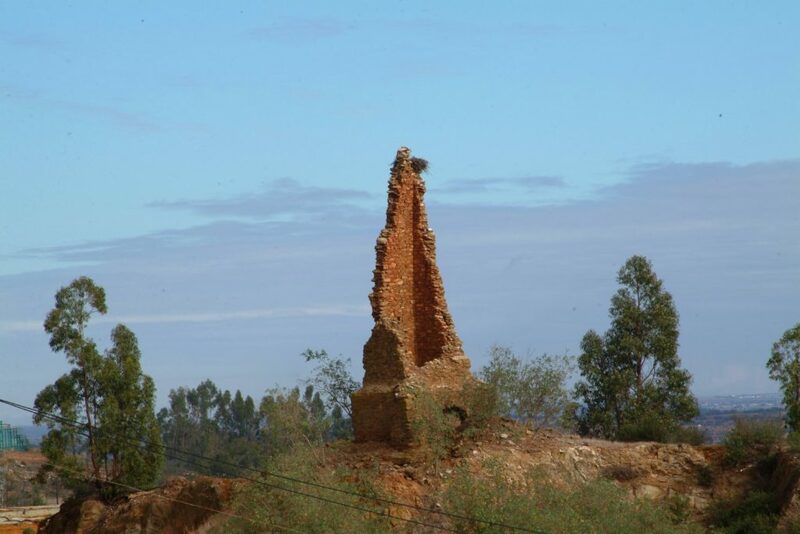 In 2008, Stabilization of the Transtagana Chimney was performed, thus preventing the complete destruction of this symbol of mining activity. 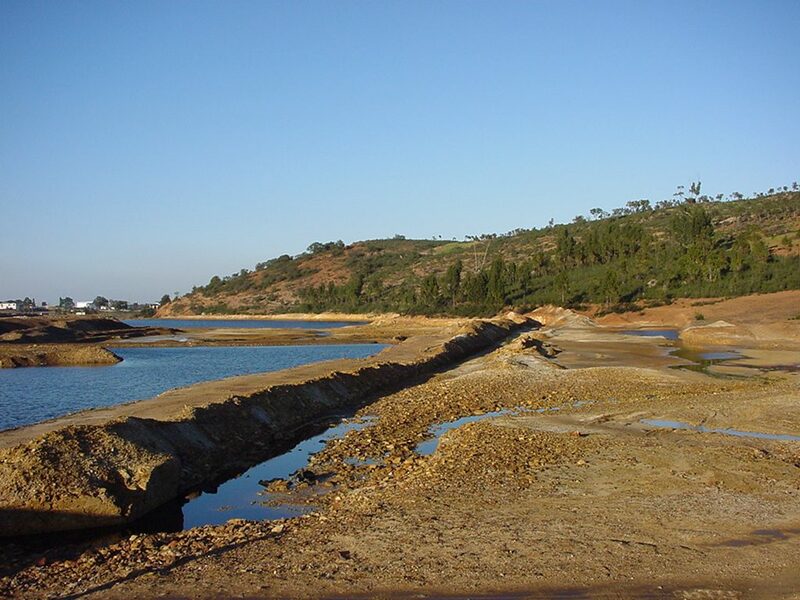 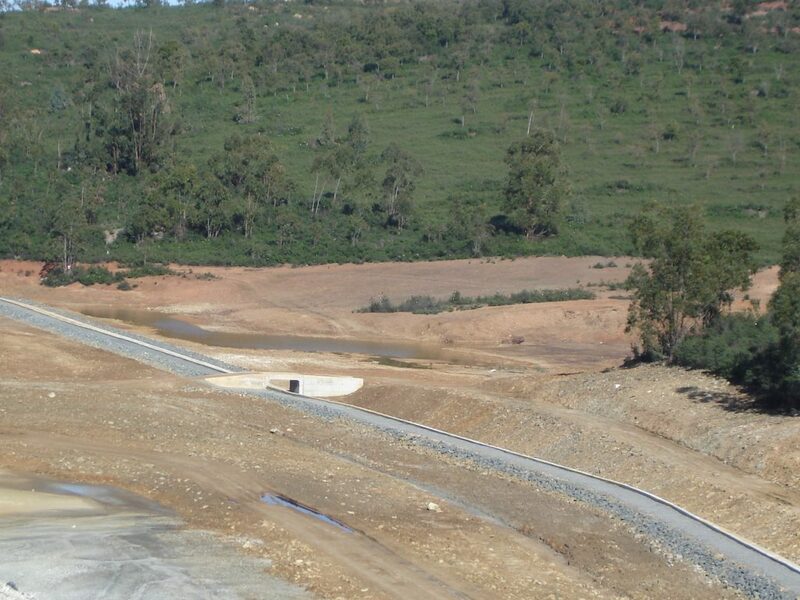 Lining and improvement of protection of the basin created in the S. João mining area. 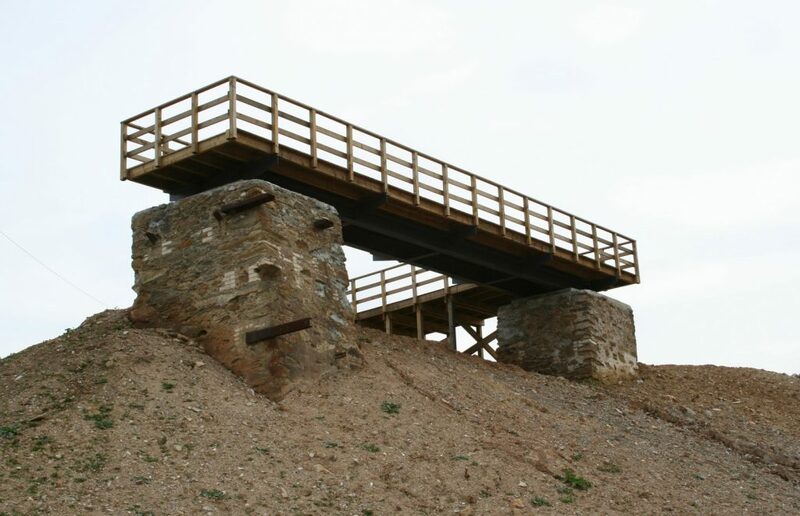 Execution of other works, namely the creation of stairs and an access lift to the surface and civil works. 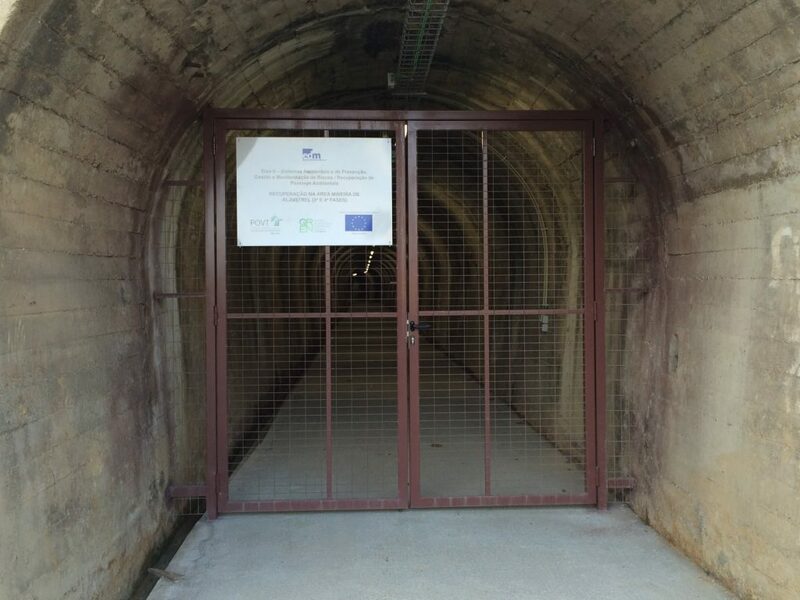 and that of the period 2007-2015, by the Operational Programme for Territorial Enhancement under the NSRF, totalling around € 15,000,000.